There is not alot of clear information on the internet on how to create an outlook signtaure in outlook 2010 that can include rich text. Rich text is anything that is not plain text, for example underlined, bold, coloured or including things such as a hyperlink or image! Creating an email signature is one of vital importance for showcasing your brand / image in the most professional manner possible. So the real question is, how do you create a real email signature in outlook 2010. 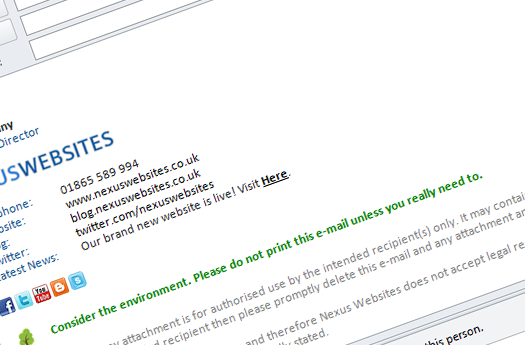 Nexus Websites are here to help explain how! Step 1: So step one, close down your outlook express and keep this closed until the final step is completed! 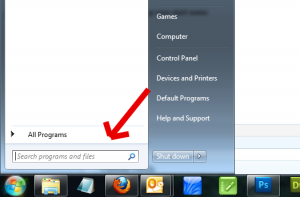 Step 2: Open up your start menu. Here you will find (if you have previously created a signature) 3 files, and a folder which will contain any images you use. 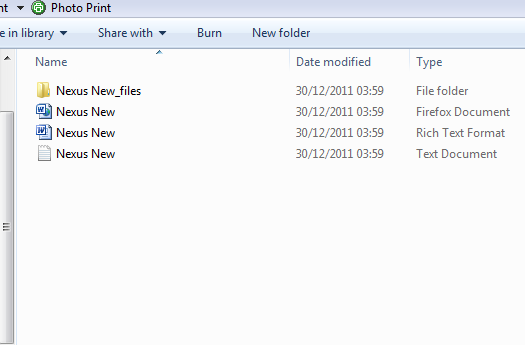 Step 3: If you have exisiting files like in the above image, delete everything apart from the rich text document. If you do not these files then you need to go into microsoft outlook, create a new blank signature, and then this will appear in the window like above, then re-complete step 2 & 3. 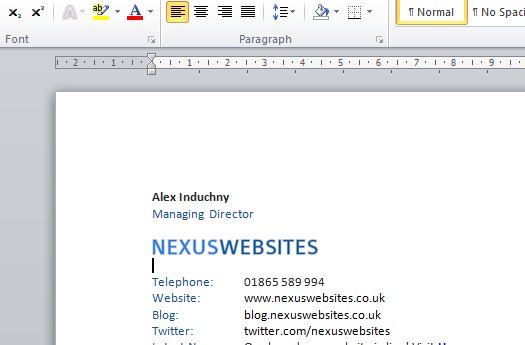 Then create your signature in word by opening the rich text document using all of the tools you normally would, insert images, insert rich text and then save the document. 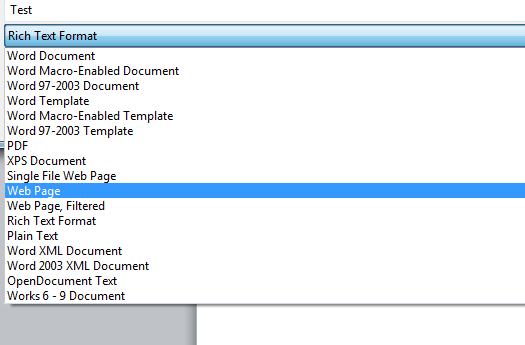 Step 4: What you need to do now is save your outlook file as a web page document as seen below. Once you have done this, you can proceed to the final step! Final Step: Open up outlook and select your new signature! Job Done!